Microsoft Office is one of the most popular productivity programs ever, and for good reason. Between Word, Excel, and the other programs included in Microsoft Office, you can virtually run your entire business with one suite. With a program this important, you're going to want to utilize it to its maximum potential. Microsoft Office 365 has over 2,000 add-ins to help, and if you're terrified of technology this may seem impossible to navigate. Luckily, we're here to help. 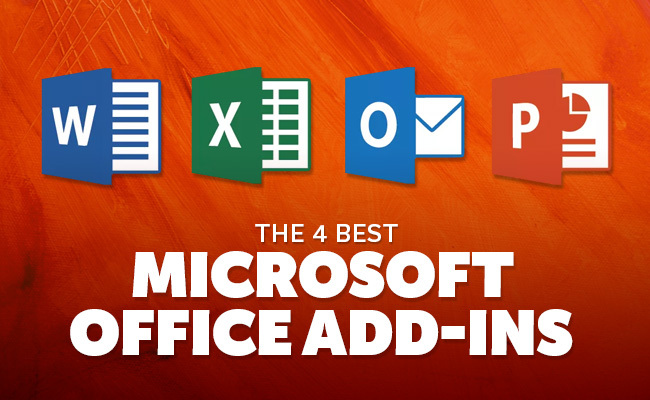 Read on for our 4 essential Microsoft Office add-ins. We've featured one add-in for each Microsoft Office program: Outlook, Word, Excel, and PowerPoint. Boomerang is an incredibly useful Microsoft Office Outlook add-in for managing emails when you don't actually want to deal with them. Boomerang has a ton of features, but two of them stand out for us. Firstly, Boomerang allows you to silence your inbox. There's nothing worse than trying to focus on a project or relax on the weekend and being constantly bombarded with emails. The inbox pause feature prevents emails from coming in until you want them to, allowing you to truly silence your distractions. Another major feature of Boomerang is the automatic follow-up email. This feature will send out an automatic follow-up message after a certain amount of time if you haven't received a reply to the original email. This might not be the most essential add-in for productivity sake, but it definitely helps liven up what might be the dullest of the Microsoft Office programs. Excel is full of numbers and data, and People Graph help bring that data to life. You're able to customize shapes and themes, turning your data into an infographic that everyone will remember. Adding images to a PowerPoint presentation is essential to maintaining everyone's interest. If you remember from the last add-in, nobody likes a list of numbers and data. PowerPoint Online's image search tool only utilizes Bing. These images are restricted to the size they were uploaded and offer no information on copyright restrictions. Pickit has a huge library of images to search from or simply browse by category. These images are all guaranteed to be royalty-free and legally usable. These images can also be resized to fit your needs. Pickit is free, with a premium option for a mere $1.99/month that includes a library of HD images. Pickit also works with Microsoft Word, making this a cross-program essential add-in. Woodpecker is an add-in that lets you create document templates that you can reuse over and over. It's advertised as a tool for legal documents, but its utility goes far beyond that. You can also use Woodpecker to create templates for things like cover letters and emails. The interface is simple. Once you've created one document, simply highlight the areas that will need to be changed and the rest stays the same. Now that you know the best Microsoft Office Add-Ins, keep reading for even more ways to improve the technological side of your business! 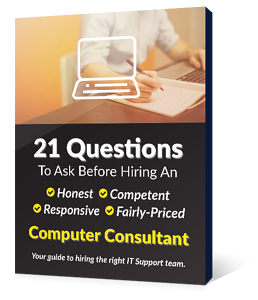 From more tech tips to instructions on avoiding online scams, we have everything you need to keep your business tech-savvy, whether or not you are!